Claims of election fraud were a prominent feature in the 2016 campaign of President Donald Trump. He repeatedly warned that the election would be “stolen” from him — especially in black, urban neighborhoods where he had less support. “Of course there is large scale voter fraud happening on and before election day,” he tweeted on October 17. Even after his win, Trump claimed that he lost the popular vote due to 3 million or more fake votes. Fears about electoral fraud resonate broadly. A September 2016 Washington Post-ABC News poll found that 46 percent of registered voters believe it happens “often.” These voters are often divided along party lines. Among Trump supporters, that number rose to 69 percent; it was 28 percent among supporters of the Democratic nominee, Hillary Clinton. An August 2016 Gallup poll found a similar split. Overall, faith in fair elections appears to be slipping: Since 2004, expectations that presidential elections will be tallied accurately have dropped from about 70 percent to 63 percent, according to the Washington Post-ABC News poll. Christensen, Ray; Schultz Thomas J. American Politics Research, 2014. doi:10.1177/1532673X13498411. Hood, M.V. ; Gillespie, William. Social Science Quarterly, 2012. doi: 10.1111/j.1540-6237.2011.00837. Gordon, Arusha; Rosenberg, Ezra. Michigan Journal of Race and Law, 2015. ISSN: 1095-2721. Ahlquist, John S.; Mayer, Kenneth R.; Jackman, Simon. Election Law Journal (forthcoming). Abstract: “State legislatures around the United States have entertained–and passed–laws requiring voters to present various forms of state-issued identification in order to cast ballots. Proponents of such laws argue that they protect the integrity of the electoral process, sometimes claiming that fraudulent voting is widespread. 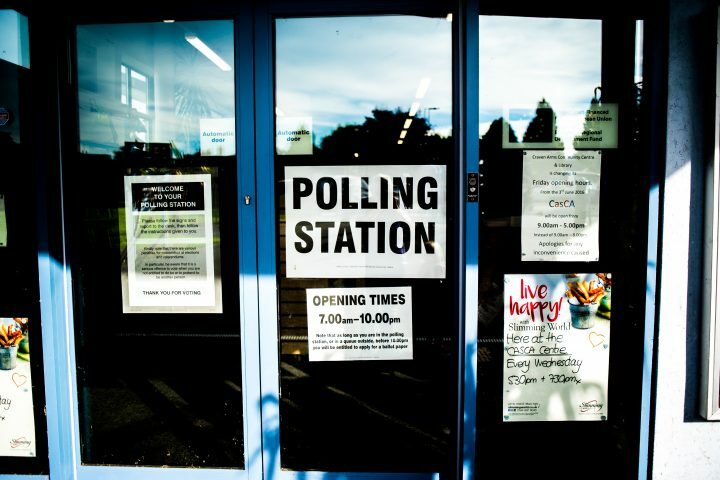 Opponents argue that widespread or systematic electoral fraud is virtually non-existent; whatever does exist is minor, insufficient to swing an election, and not worth imposing additional burdens on voters to address. They claim that voter ID laws are little more than thinly veiled attempts to disenfranchise the poor, elderly, and racial and ethnic minorities. Surprisingly no one has undertaken to actually measure the incidence of voter fraud in the United States using rigorous survey methodologies. This paper reports the results of a YouGov/Polimetrix survey list experiment fielded immediately after the 2012 US general election designed to measure the prevalence of two specific types of voter fraud: repeat/fraudulent ballot casting and vote buying. We find no evidence of fraudulent vote casting or vote buying, even in the states most contested in the presidential campaign. We also find that states with strict voter ID laws are no different from others in the (non) existence of fraudulent voting. Based on this evidence, strict voter ID requirements address a problem that did not exist in the 2012 US election. Stewart, Charles; Ansolabehere, Stephen; Persily, Nathaniel. Stanford Law Review, 2016. Fogarty, Brian; Kimball, David; Kosnik, Lea-Rachel. University of Missouri-St Louis Department of Economics Working Papers, 2016. Fogarty, Brian J.; et al. Research and Politics, 2015. doi: 10.1177/2053168015587156.